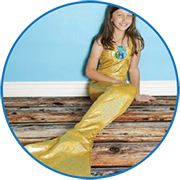 In 2009 Karen’s granddaughter, Emily, asked her Grandma repeatedly to design and make her a mermaid tail. Karen had a dilemma – Emily loved mermaids, she wanted a tail, and she wanted her Grandma to make one. Even having sewn for over 50 years, she still wasn’t sure she knew how to make mermaid tails...but Emily soon showed her that with a combination of ingenuity and team work, they could do it. Their design proved so popular when she and her sister, Sarah, swam in them at the local pool, soon all their friends were asking where they could get a tail of their own. 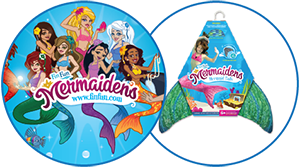 Thus began "Fin Fun Mermaid Tails," bringing a little bit of magic to every girl that dreams of being a mermaid. 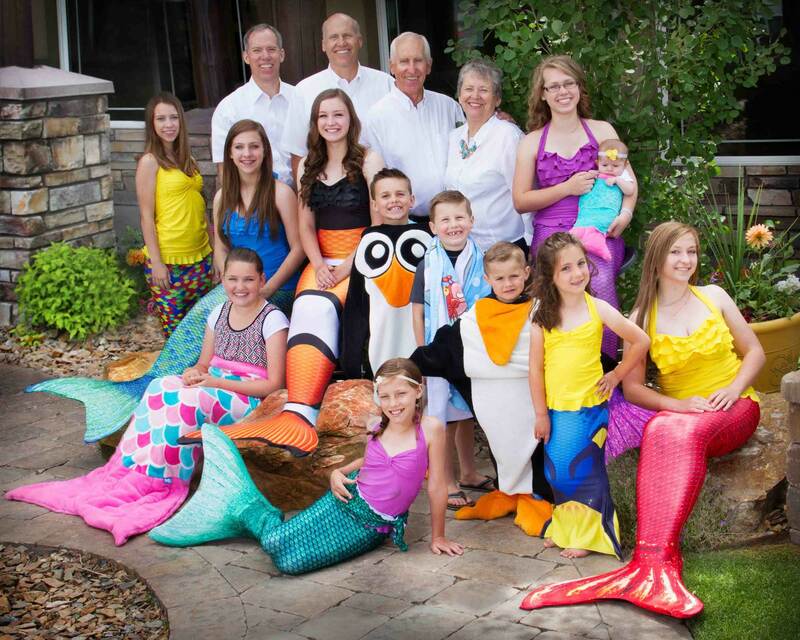 Grandma Karen and her family have been delighted to be a part of making dreams come true for so many little (and not-so-little anymore) mermaids. 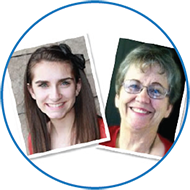 Being a grandmother to 40 grandchildren, (yes that’s right, 40 and counting!) I have a special place in my heart for our youth. 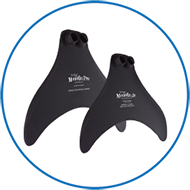 Of course, even with our growth, it remains our top priority to help mermaid dreams come true by offering the best, most realistic and safest mermaid products possible, at an affordable price. Still, we hope to do even more to bless the lives of children. For that reason we donate a generous amount of our profit to children's causes. I guess, like you, we like to imagine the many ways we might be able to help improve children's lives beyond just fulfilling their dream of being a mermaid. Who knows, maybe we will help inspire a young girl to find a cure for cancer, help solve world hunger, or even become an amazing mom! Eric Browning, the CEO of Fin Fun, is the third of Karen and Jerry’s seven children. 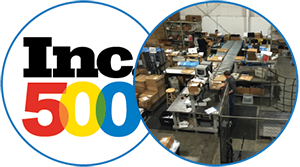 He has a passion for helping the employees, customers and company grow and thrive. Eric has over 25 years in sales and marketing leadership, achieving success and driving results with companies such as Oracle, Micron Electronics, myfamily.com, PolicyTech (Navex Global), and Novell. Now, he is grateful to fulfill a lifelong dream of co-owning a business with his brother and his parents, working side by side with his family every day. Eric has a BA from Utah State University in Marketing and is happy to be back in Idaho Falls running Fin Fun, while also accepting speaking engagements around the country. He has 8 children and is married to the love of his life, Jana. 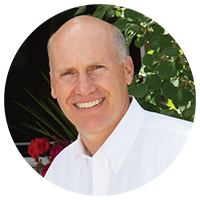 Eric helped found the Idaho Falls Area Humanitarian Center which is a non-profit 501(c)3 and has served as the board chair from 2014-2017. 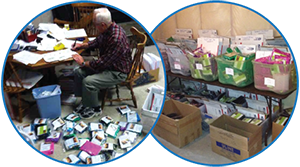 The center provides thousands of items to needy individuals around the world. Steve Browning, Fin Fun’s CFO, is the second of Karen and Jerry’s children. He has spent most of his professional career in the accounting and finance world. 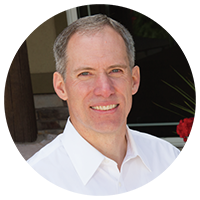 After graduating with bachelor’s and master’s degrees in Accounting from Brigham Young University in Provo, Utah, Steve immediately went to work for an international accounting firm in Seattle, Washington. Ten years later, after advancing to the senior manager level, he decided to pursue other interests, including building his own tax accounting practice. In 2012, Steve joined forces with brother Eric and their parents to become owners and managers of Fin Fun, where Steve continues to do what he does best: manage the financial operations of the company. 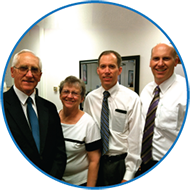 Steve is happily married to his wife, Sherry, and they are blessed with six wonderful, talented children. 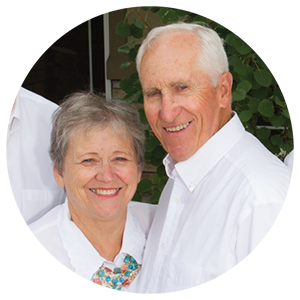 Today, Fin Fun continues to be owned and operated by many members of the Browning family, with Grandma Karen and husband Jerry still actively involved. 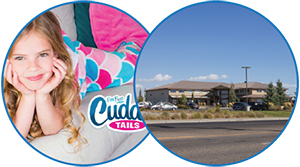 It’s an ever-growing family enterprise, still located in Idaho Falls, Idaho, providing employment and support for their local community. Buying from Fin Fun means helping others dream too! Fin Fun is proud to have donated generously to the many charities that benefit children's causes. Click here to find out more. Our mission is to provide quality products that promote creativity and active play in a safe and fun way for kids of all ages.